PATIDAR leader Hardik Patel’s hopes of fighting next month’s Lok Sabha polls hit a major roadblock with the Gujarat High Court on Friday dismissing his plea to stay his conviction in a 2015 rioting case. 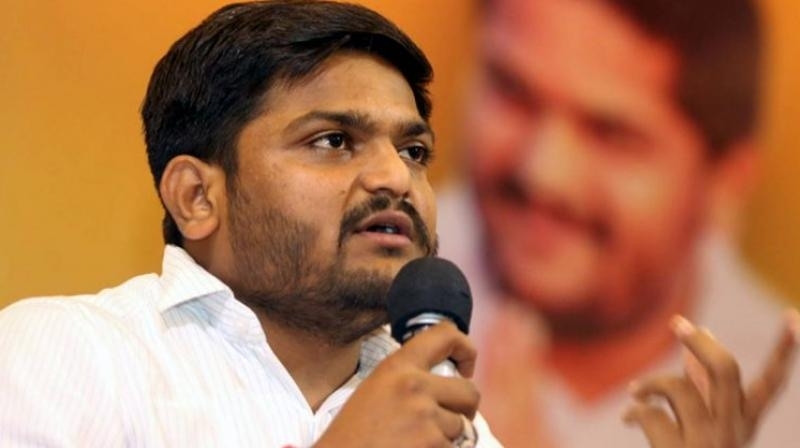 During the earlier hearings, the Gujarat Government had strongly opposed his plea saying that Hardik has criminal antecedents with 17 FIRs registered against him, including two cases of sedition. After the High Court’s judgement, Hardik’s lawyers said they would first study the order and then decide about approaching the Supreme Court. Justice A G Uraizee took into account the submissions made by the Gujarat Government while rejecting Hardik’s petition seeking a stay on the conviction awarded to him by a sessions court, which was coming into his way to contest the April 23 Lok Sabha polls. In his order, Justice Uraizee noted that conviction can be stayed only in exceptional cases and Hardik’s case does not fall into that category. Citing the State Government’s submission, the court said as many as 17 FIRs were registered against Hardik in Gujarat. The court also noted that looking at the criminal background of Hardik, no relief can be granted.